Let’s Encrypt is a free Certificate Authority (CA) that issues SSL certificates. You can use these SSL certificates to secure traffic to and from your Bitnami application host. This guide walks you through the process of generating a Let’s Encrypt SSL certificate for your domain and installing and configuring it to work with your Bitnami application stack. You have deployed a Bitnami application and the application is available at a public IP address. You have the necessary credentials to log in to the Bitnami application instance. You own one or more domain names. You have configured the domain name’s DNS record to point to the public IP address of your Bitnami application instance. Bitnami includes a small tool that takes care of generating a valid certificate using Let’s Encrypt and configuring the web server to use it. That tool uses Lego to run the Let’s Encrypt certificate generation commands. You can find the script inside the /opt/bitnami/letsencrypt/ directory. Execute the following command to auto-configure a Let’s Encrypt certificate in your stack for a domain, both with and without the www prefix. Replace the YOURMAIL and YOURDOMAIN placeholders with your current email address and with the domain name. NOTE: If renewing multiple domains, remember to update the previous command to include the additional domain name(s) in the lego command. If your Bitnami image does not include the auto-configuration script or the /opt/bitnami/letsencrypt/ directory, you can manually install the Lego client and generate and install the Let’s Encrypt certificates. Follow the steps below. Log in to the server console as the bitnami user. NOTE: Before proceeding with this step, ensure that your domain name points to the public IP address of the Bitnami application host. 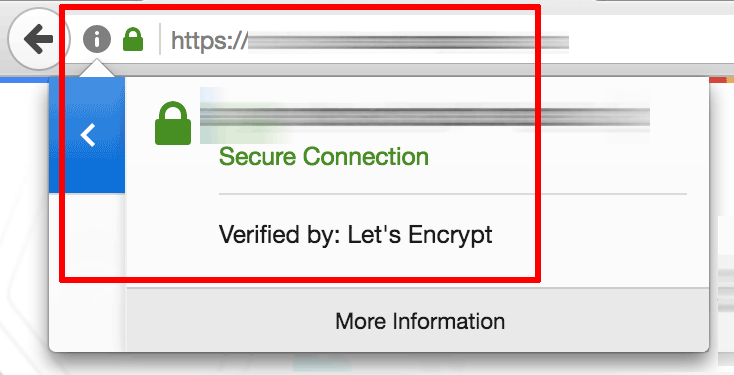 The next step is to generate a Let’s Encrypt certificate for your domain. Request a new certificate for your domain as below, both with and without the www prefix. Remember to replace the DOMAIN placeholder with your actual domain name, and the EMAIL-ADDRESS placeholder with your email address. NOTE: You can use more than one domain (for example, DOMAIN and www.DOMAIN) by specifying the --domains option as many times as the number of domains you want to specify. When supplying multiple domains, Lego creates a SAN (Subject Alternate Names) certificate which results in only one certificate valid for all domains you entered. The first domain in your list will be added as the “CommonName” of the certificate and the rest, will be added as “DNSNames” to the SAN extension within the certificate. 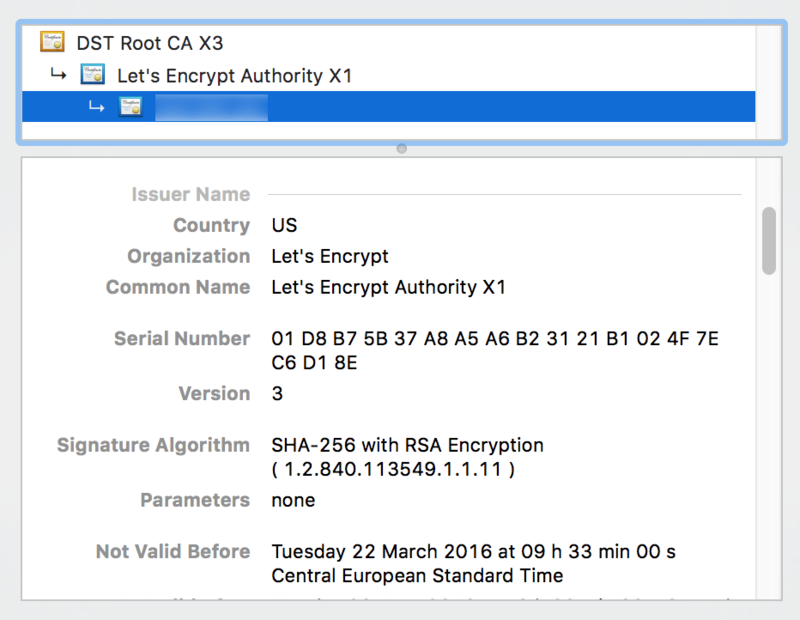 An output message will provide some information, including the expiry date of the certificate. Note this expiry date carefully as you will need to renew your certificate before that date in order for it to remain valid. Link the new SSL certificate and certificate key file to the correct locations, depending on which Web server you’re using. Update the file permissions to make them readable by the root user only. Remember to replace the DOMAIN placeholder with your actual domain name. TIP: To find out if your Bitnami stack uses Apache or nginx, check the output of the command sudo /opt/bitnami/ctlscript.sh status. To add one or more domains to an existing certificate, simply repeat Steps 2 and 3 again, ensuring the same order of domain names is maintained in the lego command and adding the new domain name(s) to the end with additional –domains arguments. After reconfirming that your domain name points to the public IP address of the Bitnami application instance, you can test it by browsing to https://DOMAIN (replace the DOMAIN placeholder with the correct domain name). This should display the secure welcome page of the Bitnami application. Clicking the padlock icon in the browser address bar should display the details of the domain and SSL certificate. Let’s Encrypt certificates are only valid for 90 days. To renew the certificate before it expires, run the following commands from the server console as the bitnami user. Remember to replace the DOMAIN placeholder with your actual domain name, and the EMAIL-ADDRESS placeholder with your email address. NOTE: If renewing multiple domains, remember to update the /etc/lego/renew-certificate.sh script to include the additional domain name(s) in the lego command.